Noel reveals that working with producer David Holmes has taken him away from the comfort zone of the “Oasis sound”… and that it’s his favourite record! Noel Gallagher has been telling Radio X that fans will be surprised by his third solo album, Who Built The Moon? Speaking to Chris Moyles earlier this week, Gallagher explained that working with producer David Holmes had seen the former Oasis man expand his horizons… but that it took him a long time to get into that headspace. Having written some songs, Holmes told Gallagher: “The verses are great, but the chorus just sounds like Oasis!" He went on: “We all want our favourite artist to sound like our favourite artist, because that's why we love them. If Paul McCartney suddenly goes drum and bass, we're all going, ‘Really?’ But it depends how much you own it, you know? “I was fast approaching 50 and I thought this is either gonna be the biggest mistake I’ve ever made, or it’s gonna be great. Who Built The Moon? 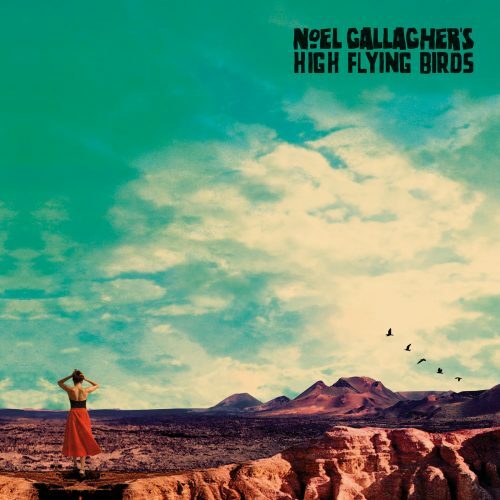 is released on 24 November and is available to pre-order now via www.noelgallagher.com.